Tucson, AZ, WPH Press, 3/19/18– Missouri State senior Max Langmack entered the 2018 Houston R48 7 qualifier on the heels of an All-American performance at the 2018 USHA Collegiate Nationals in Springfield, MO two weeks prior. 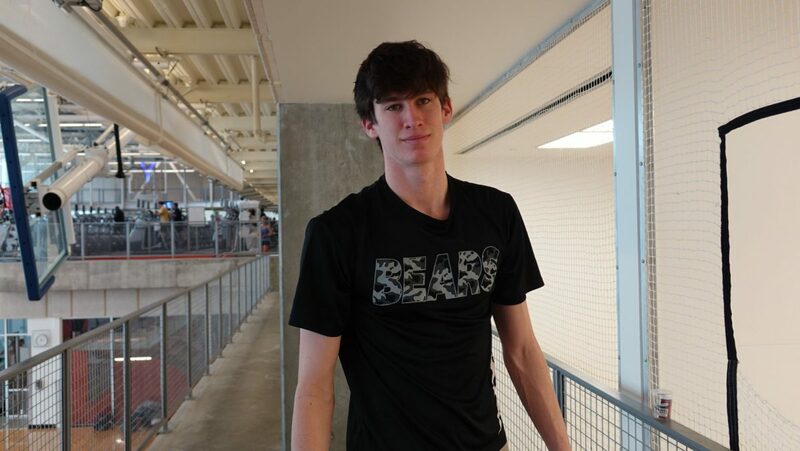 At 6’8, Langmack was aiming to become the tallest handball pro in R48 history, as well in handball history. Langmack drew fellow collegian Michael Gaulton in the Houston R48 7 qualifier’s opening round, and despite leading 16-7 and 24-20 in one of the highest quality opening round qualifier matches in R48 history, Langmack found himself pushed to overtime after consecutive errors at 22-24 tied the one game match to 25 at 24. A side out and two quick points sent Langmack to the qualifier final against R48 #16 and four-time R48 7 qualifier Abraham Montijo. 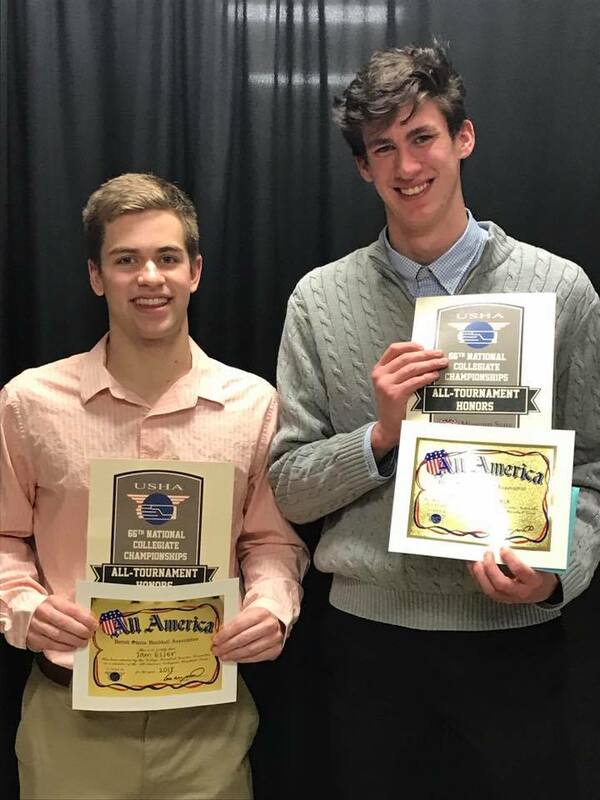 Langmack played handball for the first time just eight years ago, going to the Overland Park Athletic Club in Kansas City, KS on Sundays with his friends Sam Esser, Matt Vollink, Alex Birge, and Jeremy Young. The group received coaching from Kansas City handball standouts Brian Watson, Matt Mclaughlin, Jake Esser, and Chip Morales, as well as many of the handball players and ambassadors in the Kansas City handball community, with each of the players progressively improving each year. Eventually, Langmack and his buddies would enter local and national tournaments, taking their games and commitment to the sport to the next level. Hall of Fame Missouri State handball coach and handball legend Dr. Tommy Burnett took notice, recruiting the youngsters to play at Missouri State. 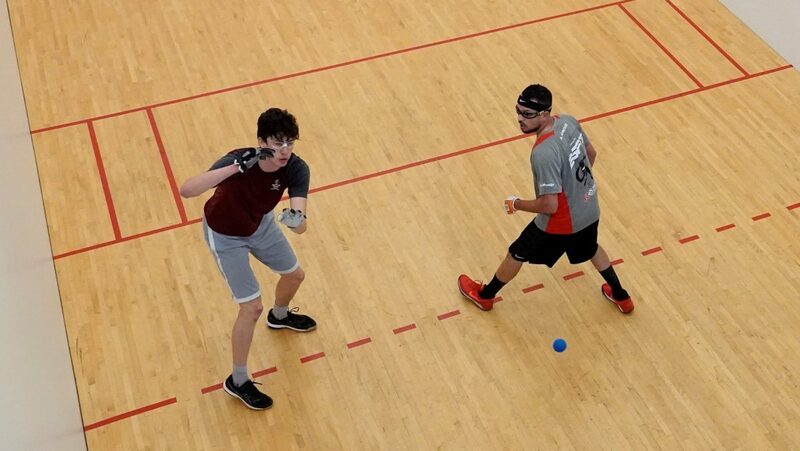 Langmack would record his first Open Singles title at the 2017 Heart of America tournament in Kansas City and still regards that as his best handball win. Reaching All-American status on his home turf as a senior in late February was also a huge thrill for Langmack. “I felt vindicated winning the All-American award after four years of hard work,” the Missouri State finance major would later say. Langmack entered the qualifier final against Montijo just 30 minutes after his dramatic first-round overtime win against Michael Gaulton and continued his momentum and great play against Montijo. Langmack used his two-handed attack to befuddle Montijo, pushing the Tucson star to all corners of the court en route to a 23-12 lead in the one game qualifier final to 25. The towering Langmack stood just two points from etching his name on the R48 Power Rankings, but Montijo rallied against the suddenly anxious Gentle Giant, scoring seven quick points to stand within striking distance at 19-23. The Gentle Giant (TGG) regrouped, scoring the final two points of the match to put his name in the record books. “I watched him play at the collegiate nationals and I knew he was tough and he was every bit as tough as I thought and then some,” stated Montijo. Langmack drew third-seeded David Fink in the first round of Houston’s R48 main draw and was bounced in two games, but TGG was not done impressing in Space City. TGG ousted former 19-and-under junior national champion and R48 # 25 Gabhain McCrystal in the quarterfinals of the 9th place playoffs, overcame R48 #7 and SR48 #2 Marcos Chavez in overtime in the 9th place semifinals, and led R48 #8 Vic Perez 13-3 in the 9th place final before falling 25-15 to finish 10th. Langmack’s sensational game turned a lot of heads in Houston, but it was his attitude that proved that he will one of the game’s most successful and well-liked R48 stars for the next decade. Win or lose, Langmack enjoys the game, the camaraderie, the friendships, the experience, and most importantly, he loves to play. “Traveling the country with friends for the past eight years at the collegiate and junior level (and now pro level) has given me too many great memories,” stated Langmack. Welcome to the R48 tour TGG!